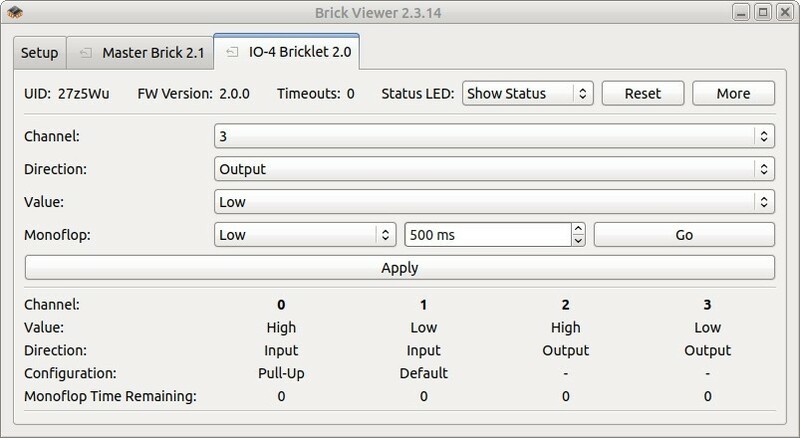 The IO-4 Bricklet 2.0 can be used to extend the features of Bricks by external digital inputs and outputs. 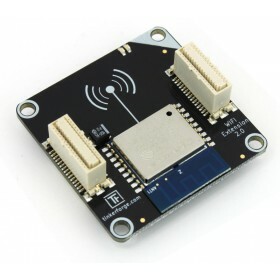 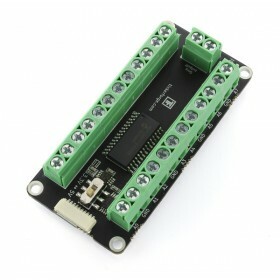 The Bricklet features 4 I/O pins that can be independently configured as digital inputs or outputs. 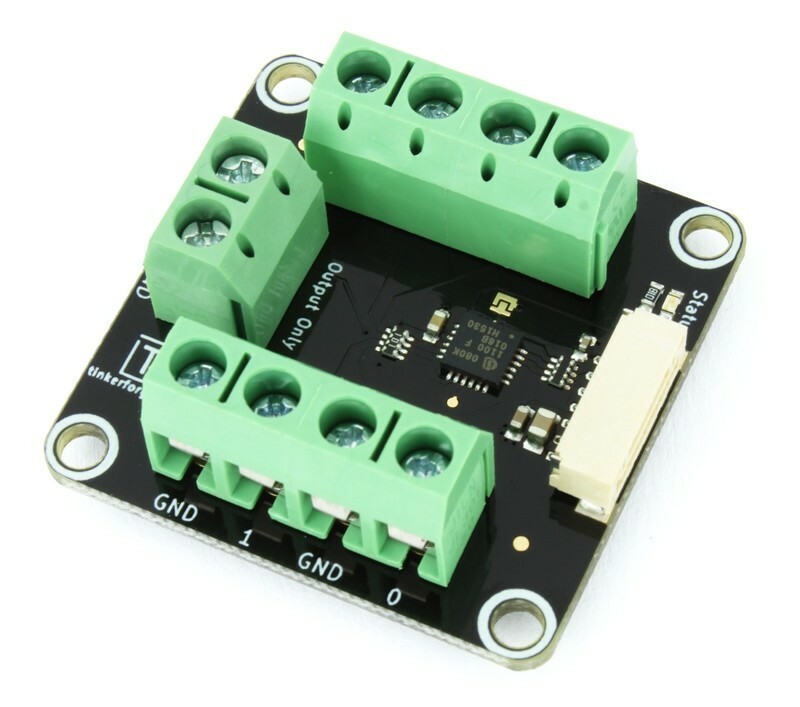 Each input pin can additionally be configured with a pull-up or as interrupt source. 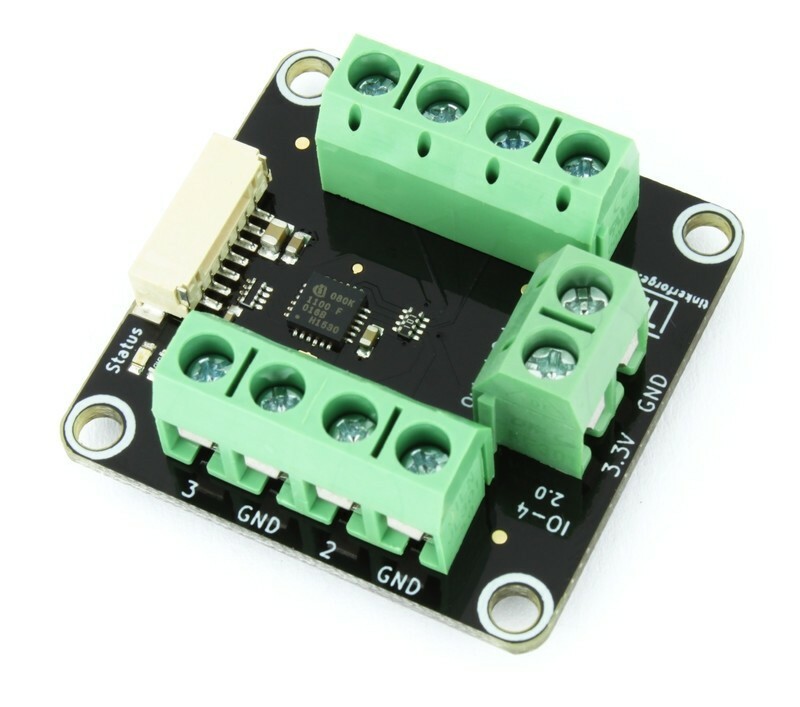 Via terminal blocks all signals can be accessed. 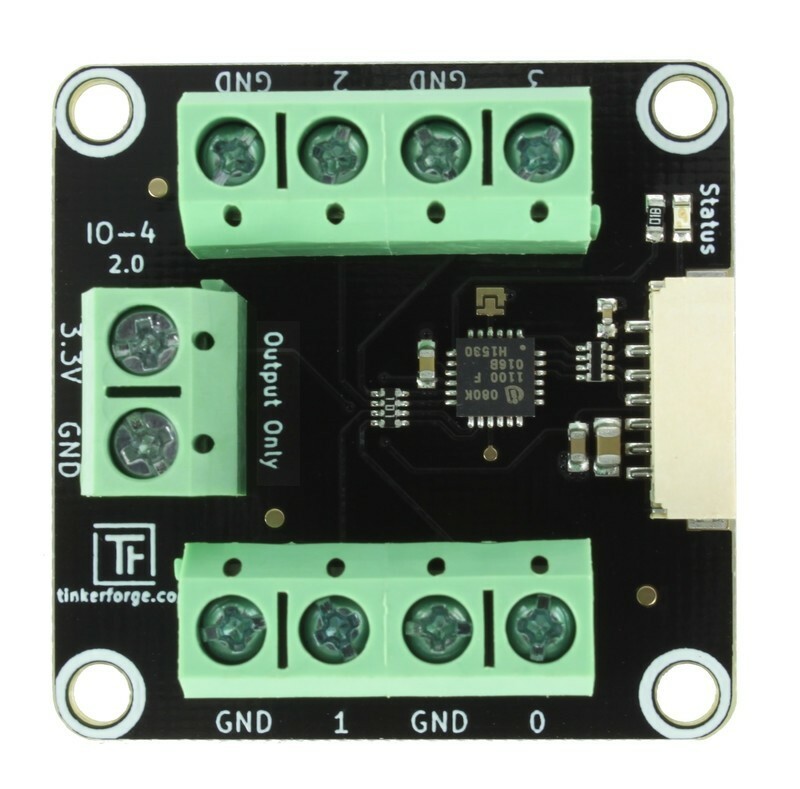 Two additional terminal blocks deliver 3.3V and GND. 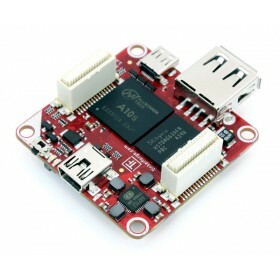 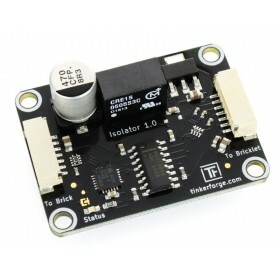 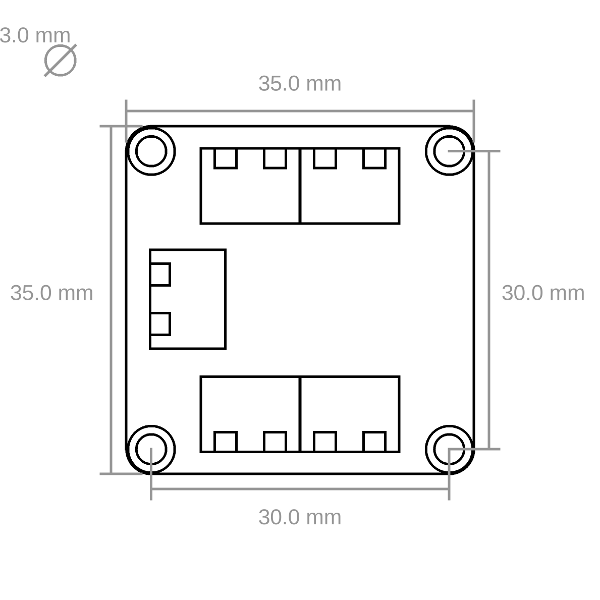 The IO-4 Bricklet 2.0 has a 7 pole Bricklet connector and is connected to a Brick with a 7p-10p Bricklet cable.